Despite prices levelling off and a continued resurgence in American production, bullish predictions on future prices are stacking up as analysts weigh in on where oil is headed. Citigroup Inc. has predicted that oil will rally past $60 per barrel by the end of this year. Citi analysts expect shale to come “roaring back” to life thanks to 2017’s higher prices, while further OPEC production cuts will offset increased output from the U.S. That should produce the conditions necessary for oil to break through past $60 by January 2018, according to Bloomberg. The Citi prediction came shortly after encouraging words from Barclays, Again Capital and Bloomberg indicating a “great rebalancing” was in progress and that prices would likely recover in the near-term. 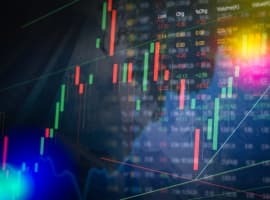 These predictions are bullish compared to those of Goldman Sachs, which predicts prices hovering around $50 and stabilizing there, while the International Energy Agency (IEA) worried higher-than-expected inventories could potentially crater prices. Those inventories, according to RBC, were due to the refinery maintenance season and will draw down soon enough, which could bring about Citi’s glowing prediction, despite EIA expectations that shale production will increase by 124,000 bpd by May. While the OPEC production agreement helped buoy prices in the first part of 2017, developments in the fourth quarter of 2016 minimized the long-term impact of the cuts. 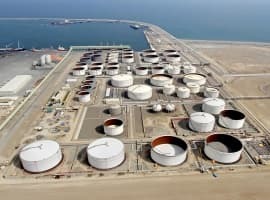 The incentive to move supplies from off-shore storage to facilities onshore helped spur the massive growth in inventories early in the year. In the U.S., inventories reached record levels in January. The announcements scared the market and sent prices falling, diminishing the immediate impact of the OPEC deal. Now, the hopes of market bulls rest on a second round of cuts carrying more weight than the first round. That the cuts will be extended now seems relatively certain. Iran, a potential stumbling block for OPEC unity, has indicated its willingness to join an extension of cuts, though it hasn’t indicated how much it will cut or how an agreement will affect its plans to offer bids on new projects later this year. With Iran’s support and the expressed desire of Iraq, Kuwait, Saudi Arabia and other producers to extend the cuts, it is likely that OPEC will reach an agreement in June with little difficulty. 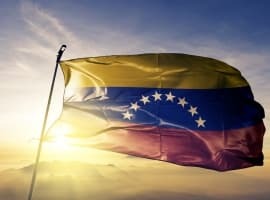 Members handling major disruptions or facing serious economic instability, such as Nigeria, Libya and Venezuela, will either be exempt from production cuts or offered differing terms and limits. Higher prices are necessary for OPEC’s major members to return their state finances and domestic economies to solid footing. The belief that $55 per barrel was the required level proved too optimistic, and now OPEC members are citing $60 as their “target” for 2017. Even now, with prices at $52-53, OPEC exporters continue to reduce output and discount sales to consumers, further reducing revenue. With so much industry anticipation, there’s a good chance that when OPEC announces an extension of cuts in late May, the market may not react too much. But anything is possible. The potential return of the “risk premium” following U.S. missile strikes in Syria and outages in Libya has revived discussion of geopolitical risk and its impact on oil prices. Should international tensions in the Middle East, or even in North Korea, continue to increase, the price could be affected, supporting Citi’s prediction of mid-$60s by the end of the year. Further outages in Libya may keep national output down, buoying prices. But the impact of the growing risk premium is likely to be brief, if recent history is any indication: market movements after major geopolitical events, including the Persian Gulf War (1990-1991), the terrorist attacks of September 11 2001 and the U.S. invasion of Iraq in March 2003 tended to be momentary, with prices returning to “pre-crisis” levels, and moving further only when market fundamentals had shifted. Regardless of risk, the bullish predictions being tossed around need to be tempered with some healthy skepticism and caution. Growing production in the U.S. will have to be offset by the disciplined reductions of OPEC and non-OPEC members. If that happens, and inventories decline in the midst of the summer driving season, there’s a chance prices will rebound past $60. Whether they reach as high as $70, as Citi once thought, remains to be seen.